Blue Ridge, Ga. – At the most recent Board of Commissioners (BOC) meeting, the public got to hear first hand the accomplishments of several departments within the Fannin County government. 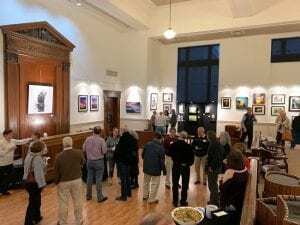 Among the departments represented was the Blue Ridge Mountains Arts Association, Land Development, Animal Control, Emergency Management Agency, Fire Department, Recreation Department, and Public Works. BRMAA saw over 38,000 visitors in 2018. 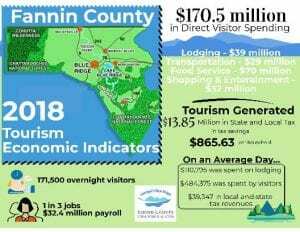 The economic benefits of having this many visitors to the area are estimated to be $493,000 locally and $1.1 million for the region. 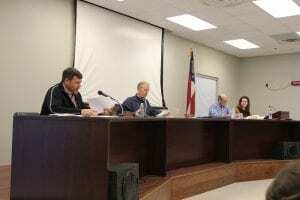 “These numbers are based on Georgia Council for the Arts as well as Americans for the Arts Economic Operations,” BRMAA Executive Director Nichole Potzauf said explaining how economic impact is decided. The Art Center hosted 37 exhibits and events in 2018 and was awarded the 2018-19 Vibrant Communities Grant from the Georgia Council for the Arts. Visitors to the Art Center for one of the many exhibits hosted throughout the year. The Vibrant Communities Grants helps to support single art projects in Georgia. These projects could include an art exhibit, a theater production, a series of workshops for children, or an artist residency. Potzauf said of the intentions for the grant’s use, “We’re utilizing that to begin a program call the Appalachian Initiative Grant Program and we are focusing on Appalachian craft and culture.” She listed some examples including weaving and bee keeping. Along with the exhibits and events, the Art Center also hosted 4198 students that attended one of their 190 classes offered. There was a notable success from the annual Cork and Canvas fundraiser as well. 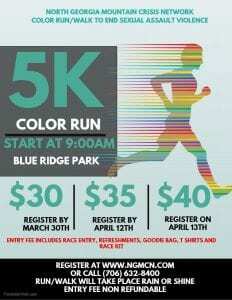 “All the proceeds from this event benefit our youth programming. In 2018, based on just that fundraiser alone we were able to provide $2,000 in youth scholarships, some art classes as well as college advancement for any student that is advancing their career in the college arts,” Potzauf said of this event, and reminded everyone that the 2019 Cork and Canvas fundraiser is approaching and will be held on March 29. Expect to see a one of a kind exhibit displayed between April and June of 2020 as it makes its way across the state of Georgia. Currently the Art Center is displaying over 1,800 pieces of artwork and is open to the public Tuesday through Sunday 10 a.m. to 6 p.m. The Land Development department saw 270 building permits in 2018. This number is slightly down from 2017. Along with the building permits there were 16 Erosion and Sedimentation Control Plans, 5 new residential developments, 2 private commercial developments, 2 apartment applications, 2 church developments, 2 assisted living developments, 1 school development, and 1 tiny home/RV park development. One of the largest issues facing the Land Development department is the ongoing matter of litter control. “I get about one or two calls a week about garbage. Sometimes it’s easy and I find the name in it and sometimes I can run down those folks and sometimes I can’t,” Chief Land Development Officer Marie Woody addressed the complications in combating the littering problem in Fannin County. 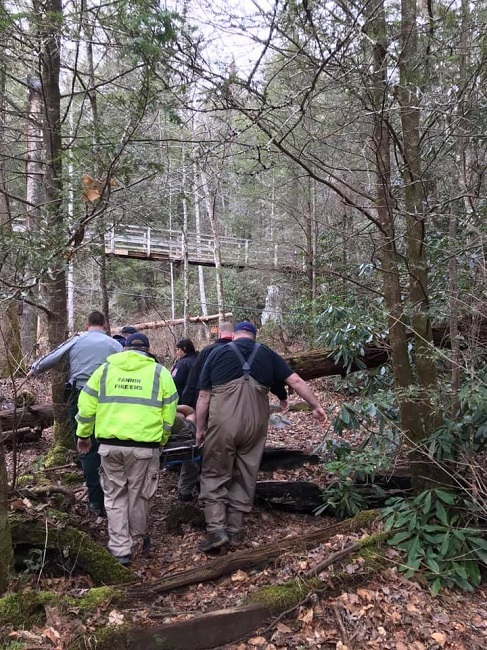 According to Woody, while there are fines in place for Fannin County residents who dump trash on the side of roadways when it comes to residents from out of state, if found, little or nothing can be done. Those that litter in Fannin County or dump garbage on the side of the roadways and are from Tennessee or North Carolina often get off with no consequences because Woody simply does not have the jurisdiction to fine them. (L-R) Steve Oakley, Marie Woody, Jane Oakley. 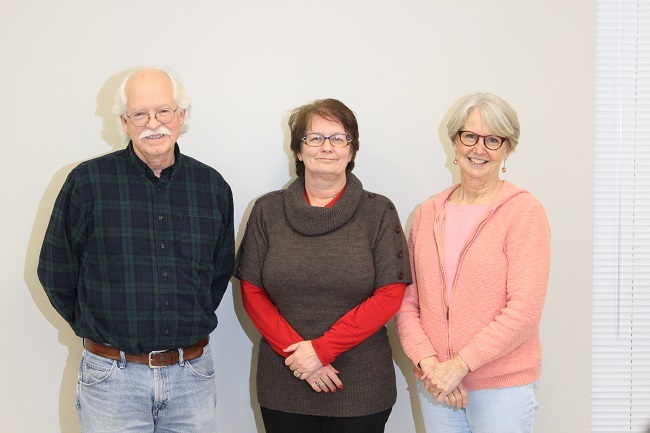 The three have worked closely to propose a Fannin county clean up program. 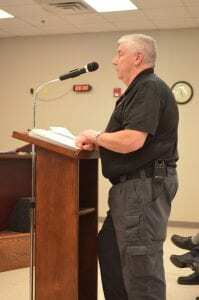 Post 1 Commissioner Earl Johnson expressed his feelings that a majority of the trash he encounters along the roadways is bulk, and expressed holding the garbage haulers in the county more responsible. 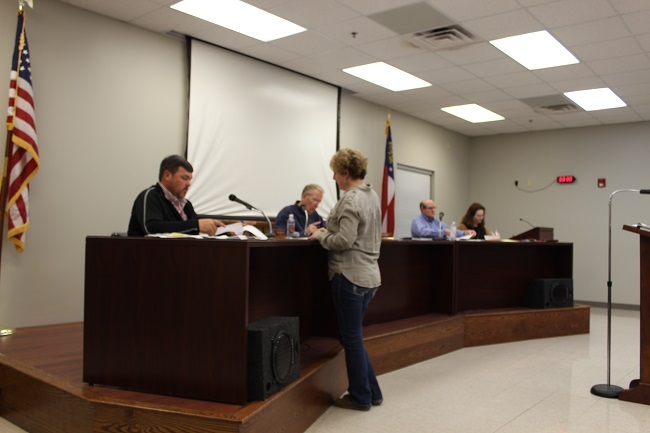 After brief discussion the members of the Board of Commissioners and Fannin County Attorney Lynn Doss, all agreed to review the county’s current ordinances and look into the possibility of having private haulers register. 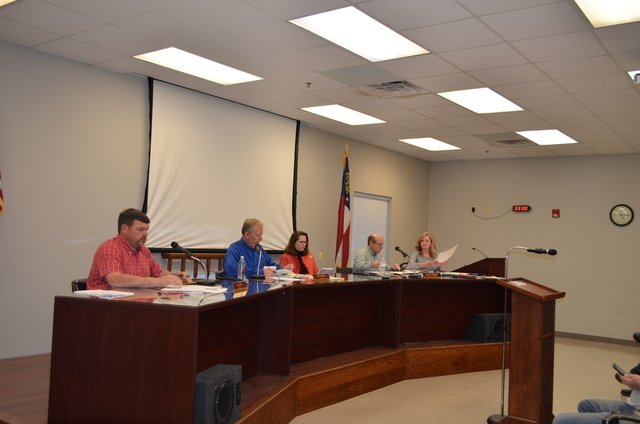 Woody, along with Fannin County residents Steve and Jane Oakley presented the county with a vision to start an “Adopt the Mountains” program. The program, still in its conceptual phase, will aim to curb littering through education, and will work to get citizens more involved in area clean-ups. 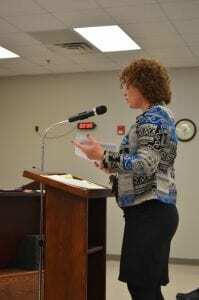 When questioned by the Fannin County Post 2 Commissioner Glenn Patterson about an education program for high school age children, Woody replied that she thought it would be better to focus the educational programs on younger children. Woody said that the educational program could go hand in hand with the proposed Spring Clean Up outlined in the Oakley’s program. Along with the new programs hoped to be initiated in the county, Woody will be seeking another Tire Grant clean up. In 2018, a tire removal project was implemented through use of this grant and was met with great success. Woody is hoping to continue this momentum in the county. Finally Woody would like to see Fannin County’s Adopt a Road program revamped. Advanced Disposal has agreed to pick up specific colored bags along the roadways where citizens have collected litter. 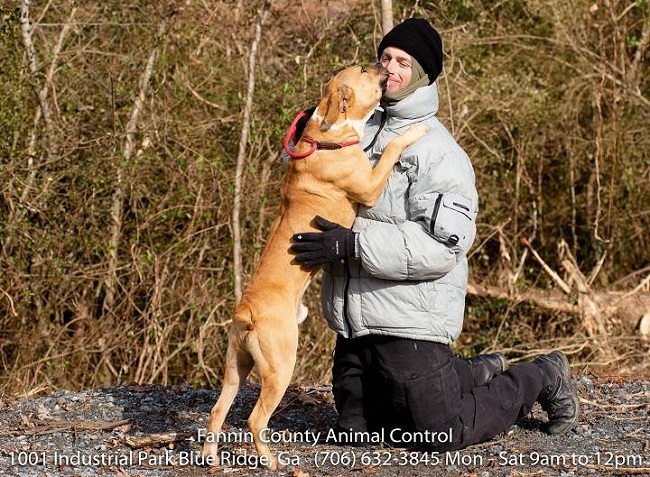 Fannin County Animal Control (FCAC), Animal Control Officer, John Drullinger updated the BOC with the work that his department had accomplished in 2018. Last year, FCAC took in 405 dogs and puppies. Of the 405 that were taken in 118 were reclaimed by owners, 83 were adopted out of the facility, and 189 were pulled by various animal rescues. According to Drullinger this addition to the facility has made a vast improvement on the reduction of noise, and has added greatly to the safety of employees as they now can more easily get into kennels for disinfecting. A volunteer working one-on-one with a dog at FCAC helps to improve the odds of adoption. “We have a great group of people. Some come pretty regular, some come on certain days, some come everyday. 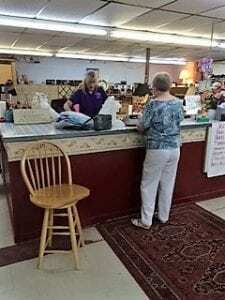 They are very motivated and willing to help out,” Drullinger affirmed Johnson’s thoughts and added that the FCAC donor program has been a huge success as well with people donating items such as blankets, towels, toys and treats for the dogs. The local area animal rescues were acknowledged for their help in moving dogs out of the facility and into permanent homes. A new group, Team Dahlonega, has also stepped up, helping to advertise the dogs held at FCAC and raise pledges for individual dogs to be pulled into rescues. 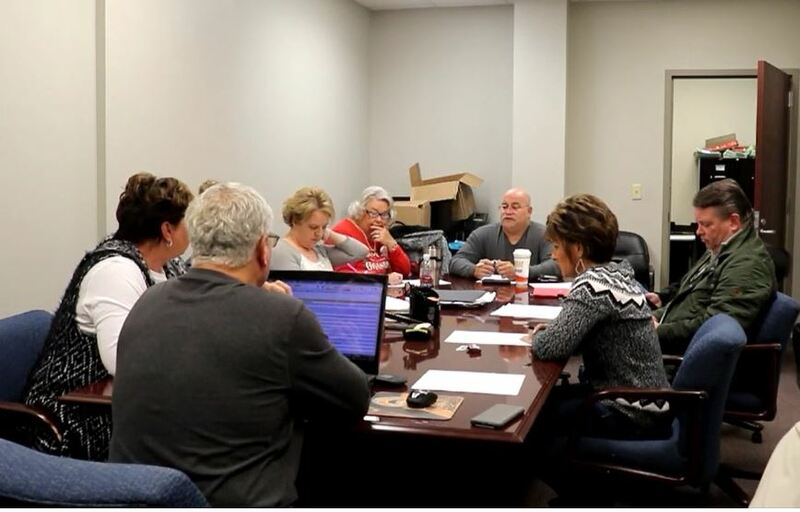 Fannin County Emergency Management Agency (EMA) Deputy Director Darrell Payne and Fannin County Fire Department (FCFD) Fire Chief Larry Thomas updated the BOC and residents on the busy year the departments had. “Last year we had a busy call season,” said Payne before giving the statistics of 911 calls in Fannin County. The EMA / EMS received 3,641 911 calls in 2018. There were an additional 1,115 non emergency calls that the department handled. According to Thomas the FCFD responded to 416 fire calls, nine structure fires, three commercial fires, and one chimney fire. Thomas explained that most chimneys are now prefabricated. Fires in these chimneys can easily spread to structures such as attics and rooftops. 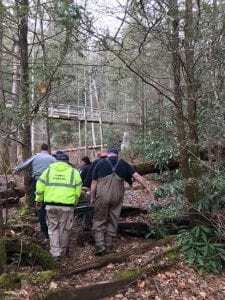 Fannin County rescuers working to bring an injured fisherman to safety. EMA / EMS also received two new ambulances which were placed in the Dial section of Fannin County, and hope to obtain a new ambulance in 2019 to replace one currently located at Station 4 in McCaysville. Blue reflective number signs can be purchased at Kevin Panter Insurance. These signs, usually placed at the beginning of driveways, are clearly and highly visible which saves time for responders during an emergency situation. A portion of the money received from the purchase of these signs goes directly back to the Fannin County EMS department. “It does help. It really does. It reflects, it’s right at the end of the driveway,” Thomas said speaking of the blue signs available for purchase to the public. The Fannin County Parks and Recreation Department had a successful year. Many new programs were added to benefit those living in Fannin County and those visiting. In 2018, 820 children participated in some kind of youth activity offered by the department. 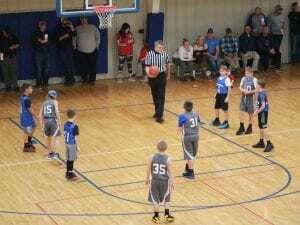 The third annual Basketball Christmas Tournament also brought in large numbers for the county. Sixty-six teams participated in the three day tournament which took place Dec. 26-28. A total of 116 games were played with an average of 2,000 in attendance throughout each day. One of the many games hosted during the Parks and Recreation Christmas Basketball Tournament. Events like this tournament have large economic impacts on the county as whole. Visitors stay in hotels, rent cabins, eat at local restaurants, shop in locally owned stores, and many times plan to come back to our area for a second visit. Parks and Recreation brought in $57,078.43 in youth concession sales, $52,257.60 in admission fees, and $59,574 in registrations in 2018. Pavillion rentals at parks added an additional $7,775, along with nonresident gym use fees for $3,051, after school programs at $20,860, summer day camp an additional $20,556.25, and $30, 568 food grant for summer day camp was obtained. Major programs accounted for approximately $251, 721.23, bringing a grand revenue total to approximately $280,000. “That comes from tons of volunteers in the county. People that volunteer to help with programs, volunteer to coach, or volunteer to tutor with our after school program. We really do appreciate all the help,” Post 1 Commissioner Earl Johnson spoke of the Parks and Recreation Department’s success. “Being in sports myself and education, the job you do with the young kids is very commendable,” Post 2 Commissioner Glenn Patterson complimented the work being done by the department. This new Silver Sneakers program will be an exercise based program specially geared towards an older crowd. The class size, initially, will accommodate 10 to 15 people. Next up for Parks and Recreation will be a restroom remodel at their main facility. Commissioners voted unanimously to move forward with a bid from Wolfcreek Builders, LLC. in the amount of $50,075. This remodel would include a metal roof, hardy plank siding, tiling the interior space, all new fixtures, and metal doors. The contract is for labor only. The county will supply materials. Heating and air for the newly remodeled space will take place in a separate bid. 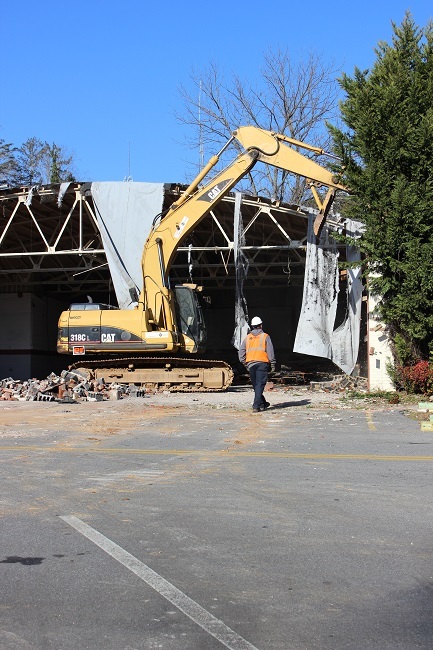 The Public Works crew taking care of the demo of Fire Station 1 in downtown Blue Ridge. In the last year, roughly 117 miles of road have been re-striped, 12 miles of road have been paved, 25 miles of road have been chip and sealed, the Aska Transfer Station also received chip and seal, as well as the Recreation Center parking area, 28 culverts have been installed, 600 road signs have been cleaned and straightened, and 649 new road signs were created for use throughout the county. The 2017 audit showed the initially savings of the now more efficient Public Works department as being $999,333. « Previous Article Coming Soon - 1st Annual Blue Ridge Soap Box Derby!